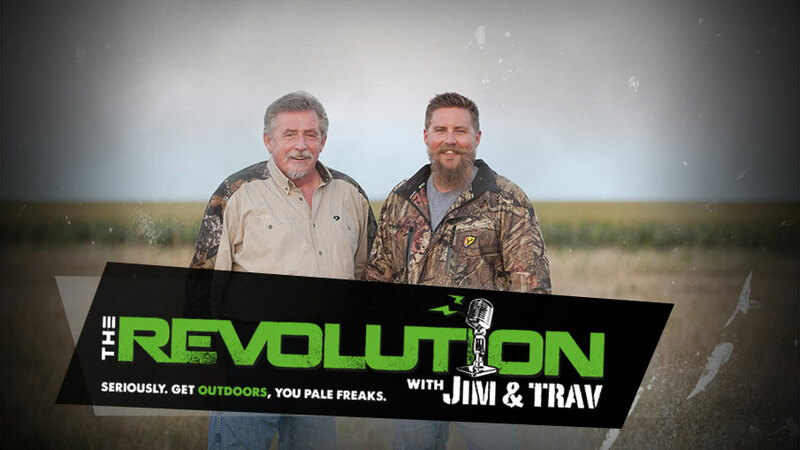 This week on The Revolution with Jim and Trav that's presented by Outdoor Channel, we're on a Crusade for Conservation. The boys will talk about the nationwide decline in habitat, current conservation issues, plus the dark underworld of poaching and the effects of predators. Tune in for Ivan Carter, Mitch Petrie, Geoff Nemnich and more. Ivan Carter is a conservationist, professional hunting guide, photographer and the host of the new Outdoor Channel Original Series “Carter’s W.A.R.” Ivan talks to Jim and Trav this week about the poaching and illegal wildlife trade that is running rampant in Africa and how his new show highlights his efforts to confront the wildlife transgressors in that are trying to destroy the awe-inspiring habitat for tusks and horns. Carter’s W.A.R. (Wildlife Animal Response) presented by Nosler airs exclusively on Outdoor Channel and will premiere on Monday, December 28 at 9 p.m. ET. Mitch Petrie is the Vice President of Programming for Outdoor Sportsman Group and producer of Wardens. Mitch joins Jim and Trav to talk about the award-winning hit series and the important job that wardens are tasked with. He'll discuss the amount of land that a single warden has to cover, why local relationships are important for wardens, the training it takes to avoid the potential for danger on the job and more. Wardens will debut its 6th season on Monday, December 28 at 6 p.m. ET on Outdoor Channel. This week on The Revolution's Predator Pulse with 2-Time World Champion Coyote Caller and founder of Coyote Craze, Geoff Nemnich, you'll get the inside scoop on what all it took to win the worlds earlier this month down in Kingman, Arizona with his partner Dustin Patterson. Everything from months of preparation down to the last finishing details, Geoff will dish it all and how their success came from handwork, 100% public land hunting and why thinking outside the box leads to greater rewards. This is one Predator Pulse that you won't want to miss.